This article first appeared at American Lens News on July 17, 2017. Unity? Nope, more like divide and conquer. It is fitting Governor Cooper was there to greet him. After all, they were involved in the previous redistricting debacle that got us where we are now. Holder was here not just to raise money, but to stir up the base over the National Democratic Redistricting Committee, of which he is the co-chair. His other goal; to breathe life back into the ‘cripple and eviscerate’ message from 2013. The National Democratic Redistricting Committee (NDRC) is formed with much of the same leadership that got former President Barack Obama elected back in 2008 and 2012. Holder and Obama have not minced words stating that they have placed North Carolina in its crosshairs; we are the nation’s most important 2020 battleground state. We are the single most important state that Democrats have targeted for flipping from red to blue, aided by the non-stop lawsuits in recent years about redistricting. Nationally, Democrats need NC to take back the house. As goes NC, so goes the US House. You might remember that BluePrint memo that rocked the Democrat Party before Governor McCrory ever took office? Well, progressives are right on track and this is the final phase in their plot to retake the state and cast out conservatives from Congress. To be clear, Democrats have stated that they “want to make NC Blue” nowhere do have they ever asserted that they want to make NC ‘Non-partisan.’ So please, don’t fall for the ‘non-partisan redistricting’ mantra. But now NC Democrats are aided by hundreds of millions from out of state money. NC is set to be the nuclear ground zero for an all-out political war in 2020. Eric Holder, while at the DOJ, approved the NC maps now in question. He cleared them without objection. Those are the very same maps he now says are racially gerrymandered. Roy Cooper, when he was the Democratic Senate Majority Leader in 1996 not only approved a similar set of maps, he helped design the origin of the 2001 maps. Cooper’s maps were so bad that they later rejected by the DOJ for crossing of boundaries (not contiguous, geographically centric). Just to refresh everyone’s memory, Eric Holder is the second Attorney General in US History to ever have articles of impeachment filed against him in Congress, and the only one ever referred to committee. Those impeachment articles forced his resignation in disgrace. Like Nixon, he resigned rather than be prosecuted in the court of public opinion. Holder is an arrogant man who not only faced impeachment but was also found to be in contempt of Congress. In doing so he violated his oath of office, abused his power, and violated the US Constitution. 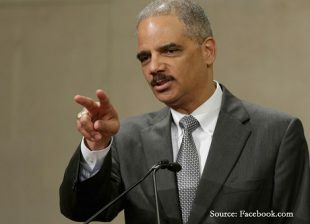 Holder also arrogantly obstructed justice and got caught red-handed. But that was not the end of his transgressions. Holder flat-out refused to prosecute Lois Lerner and other IRS officials for their overtly illegal activities targeting conservatives, seizing property, and attempts to jail conservatives because of their political beliefs. We wished we could have heard what he said. In fact, we would be reporting on that now. But, we were denied entry. But, that is the NCDP’s right to do so. It was a private event. So go ahead NC Dems, party -on! 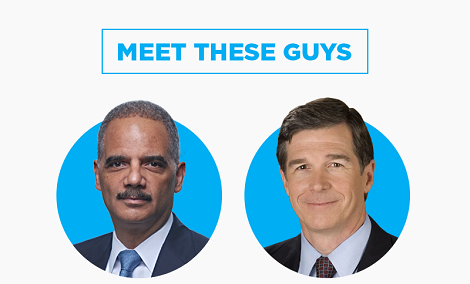 It seems only fitting that the NC Democratic Party would deny us from an event where Holder was speaking. He is also well known for abusing the powers of office and harassing journalists. He searched, seized and impugned reporters on official government records without cause. Yes, the same collection of news outlets mentioned above were the only ones allowed access to the NC Democrat Party’s “Unity Dinner,” or so we were told. Long forgotten from 2013, was the fact that Eric J. Holder, the Attorney General of the United States under President Obama, actually surveilled the free press. This is the same free press you hear taunting the world about loose wiretaps conducted on the Trump administration, but hey, no big deal. This is the same press who now publish leaked calls to world leaders, spill national secrets like a clumsy busboy, and push the narrative of the ”two scoops of ice cream scandal’. It is too easy to forget that Holder’s DOJ went so far as to seize phone records used by more than 20 reporters at the Associated Press. 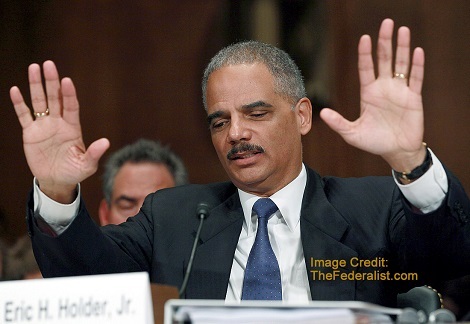 The same Eric Holder who is being sued by Sharyl Attkisson, the Emmy Award-winning reporter formerly of CBS news. Attkisson is suing him over the alleged hacking of her personal and work-related electronic devices by Holder & The DOJ. It is easy to forget that Holder impugned the characters of those journalists, without cause. He even ordered search warrants for some reporters’ private records, emails, notes, and conversations and officially labeled them “criminal co-conspirators” in government documents without proof. Even Patrick Leahy, a staunch Democrat’s- Democrat said he was “troubled by these allegations” against Holder. The NC Democratic Party remained silent in the face of tyranny by an out-of-control officer of the law and never spoke out about his injustices and threats to the First Amendment. But now the NC Democratic Party wants you to listen to Holder about injustice. It is only fitting that they too will selectively omit members of the press who refuse to carry their message blindly into the future. We did receive an invitation to attend the event signed by Roy Cooper, but our organization was denied entry after our request. We are told that we were refused entry because we are not members of the NC Press Association, an organization that we believe has a tendency to run counter to taxpayers best interest. However, they are a legitimate group of reporters who actively work to inform the public and we commend them for that. We will have more on that issue in another story. This entry was posted in Am Lens, Democrats, ELECTIONS, POLITICS NC, Roy Cooper and tagged Eric Holder, NC Democrats, Redistricting, Roy Cooper. Bookmark the permalink.